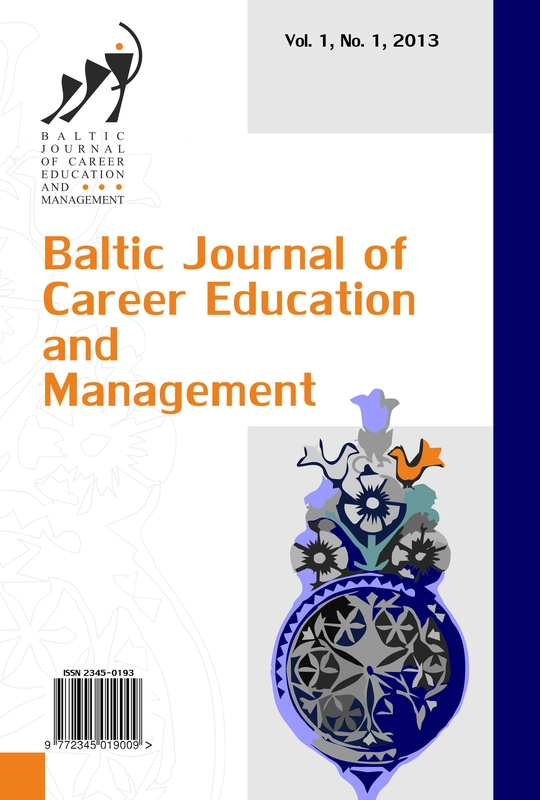 'Baltic Journal of Career Education and Management' is an international, periodical scientific journal publishing original research across the whole of career education and management. The journal's Editorial Board and staff are committed to building BJCEM into the leading scientific journal in its field by publishing articles of outstanding scientific quality that merit the attention and interest of the whole career education and management community. BJCEM is peer-reviewed journal. Every submission is preliminarily assessed by the Editorial Board who also guide the formal peer-review proces.